Mobile apps have become ubiquitous and entrepreneurs look at them as a powerful tool to enhance the reach of their brand. Moreover, low code and zero code development platforms have emerged as a boon for businesses to join the app bandwagon. But have you thought in detail before diving into an app development project? Believe it or not but this is not that easy. You have to cautiously analyze all the pros and cons of creating an app for your business by keeping in mind your vision, values, and specific requirements of end customers. Let’s make this daunting task a bit easier by exploring the eleven major questions entrepreneurs must answer before creating an app. The answers will clear the air and you can confidently decide on whether to join the app marketplace or not. Is Your App Will Merely Be An Extension To What’s There On Your Website Or Will It Add Some Value To Your Business? There must be a strong objective behind creating an exclusive app for your business. It shouldn’t be a plain expansion of your website. But an app should be capable of providing customers with an intuitive and personalized experience. They should have their own unique factor that customers can’t get by surfing through your website. Also, you should evaluate whether your business really needs an app or a responsive website is enough for its survival. Do You Have An Idea Of What Pain Points Can Your App Solve For Your End Customers? Before diving into app development it’s essential to chalk out what are the specific requirements or issues your customers are facing with available digital solutions? You can do this by researching and discovering problems of your customers and designing an app to fix one of these. For example, if your end customers are millennial then you have to pay attention to advanced design and superb functionality. But if you are targeting older customers then make sure to keep your app simple. Do You Have Any Plans To Make Your App User-Friendly? Its utmost important to consider ergonomics when designing your app. This means that you should plan precisely to arrange all the elements in a way so that they can be easily handled by the users. The elements must be well-arranged to look visually appealing to their eyes. Also, a user can easily navigate through your app with just one hand which will add to their comfort and convenience. Can You Make Your App Offer Personalized Yet Smooth Experience To The Users? Users definitely carry their smartphones with them 24*7. Therefore, a mobile app is the best tool to grab their attention when required. Before creating an app you must answer how can you make your app provide users with more personalized and relevant information in accordance with their personal preferences? In this way, the customers will feel more connected and involved with your app. Also, there are high chances of them to take the action you want them to. But remember don’t personalize your app at the cost of preventing users from achieving their goals during their digital journey. Have You Thought Of An Appropriate User Authentication System That Can Be Incorporated Into Your App? In case your app requires users to make payments, a user authentication system is your mandatory requirement. This is the mechanism in which your app identify and verify a particular user so that to accept the payment. It can be done with authenticating passwords, EMV chip cards, and fingerprints of the users as and when required. Does Your App Will Let Users Navigate Through The Data Effortlessly? One of the major points to consider before creating an app for your business is the way in which you will be arranging and representing the information. You should have a proper plan to prioritize information and display it in a way that it’s easy for customers to find what they’re looking for. You can use the popular technique spider mapping in order to systematize your ideas and prevent yourself from getting lost into the dark. Is It A Sensible Move To Come Up With A Beta Version & Collect Feedback First? If it’s your first time to launch an app consider to building a beta version by incorporating only the core features and functions. Launch it to a set of targeted audience and ask them to give their honest feedback. On the basis of the gathered feedback, you can do modifications and build a final product. Also, it’s essential to keep your app flexible so that it can be adapted to suit the changing needs of the users. What About The Reusability Of The Code? Before starting app development it’s mandatory for you to consider the specifications of the platform for which you are going to develop it. Also, keep in mind the estimated costs of building and maintaining an app for that platform. You also need to think about how can you reuse the code and expand it to cater to multiple platforms in the future. Will Your App Sustain In The Market? 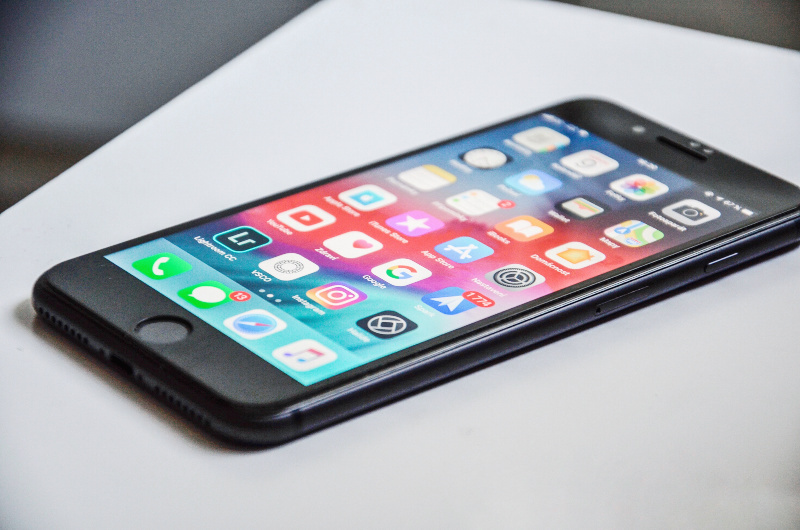 When taking a call on how to create an app, you need to ensure that it will be easy for you to perform functions such as deploying updates, maintaining, adding new features and enhancements simultaneously. Otherwise, your mobile app will become out of date soon and it will serve no purpose. Do You Have A Proper Plan To Maintaining Your App? The marketplace is highly dynamic and the requirements of customers change on a daily basis. In such a scenario, you should be committed to putting efforts in order to let your app evolve to cater to multiple devices and fulfil changing needs of the customers. Are There Any Alternatives For Your Brand’s Mobile Presence? Before diving into developing an app make sure that it’s the right channel to enhance the reach of your business. Also, evaluate if the market has any other unique technological channel at your service. Investing in app development can be a game-changing move for your business. So take the final call cautiously and logically by evaluating all the opportunities and challenges associated with the venture.